D'aaw, I was hoping to do this as my first project! Happy belated birthday! Can't wait until crossbows are implemented so i can live out my post-apocalyptic dream of playing Darryl on this map. 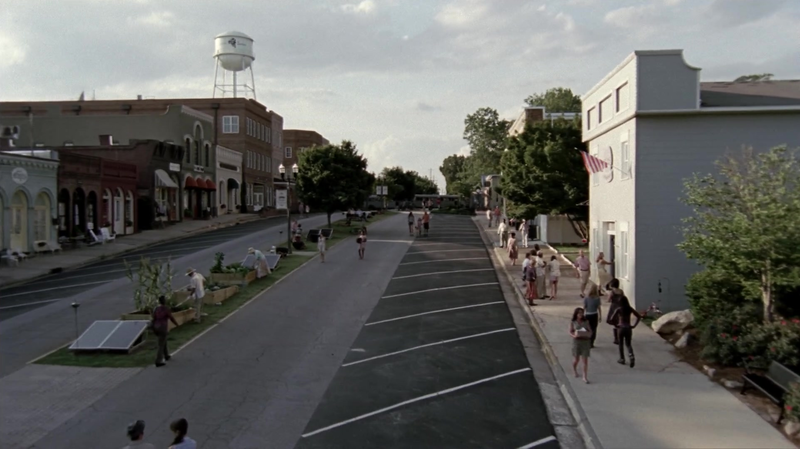 That was a back up plan, but I think I'll go for Hershel's farm. 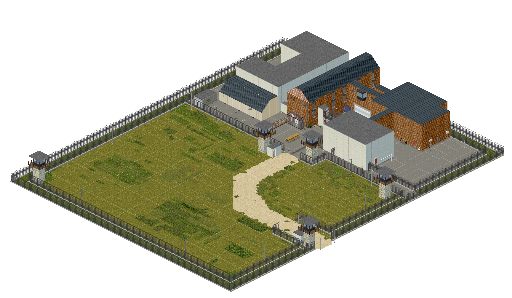 Seems simple, and Woodbury is something me and some friends were planning to build in-game. How is the work going?? Will get back to finishing it after I get done with my project It's currently eating up a lot of my time, and when I'm done for the day, I just want to cool off for the rest of it. NMRIH rules, I know the feeling. Even though I've said that I've discontinued the work on this, today I've had a sudden urge to finish this map and... I've managed to fill up the rest, blank spaces that I had trouble with. So, there we go. The prison map is finished. The whole prison misses only a couple of places that appear in the TV show, but in any other case - it looks pretty much identical. If you take a stroll around prison's interior you'll remember a lot of canon places from the TV show. Enjoy! To play it, replace the original .lot files in all the folders with the ones from .rar, inside this path : "Project Zomboid/media/maps/challengemaps". Great that you've finished this! Is it okay for you if I add this map to the PZ Map Website under "Community maps"? Yeah, I think you are better off waiting for RingoD's version 3 of his Bedford Falls if you want to play it on sandbox/survival. You'll need to be more precise in order to enable the modder to fix what's wrong.